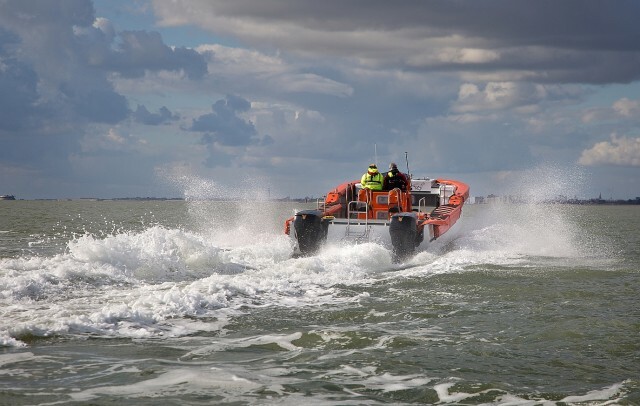 OXE Diesel has become the first CI diesel outboard in the 150-400hp class to be fully approved for commercial use at sea in international waters. This month OXE Diesel received the US Environmental Protection Agency (EPA) Tier 3 approval for operation on commercial vessels and consequently the International Maritime Organisation (IMO) Tier 2 permitting operation at sea in international waters, including the EU and UK waters. The 200HP OXE Diesel has the highest power density of any marine diesel and its manufacturer, Cimco Marine, will be developing other engine models in the future. Jeremy Paul, General Manager of Proteum, the UK & Ireland distributor for OXE Diesel, comments, “Finally commercial and military operators can buy a fully approved high power diesel outboard with the range and performance they require. This is a big deal for OXE and the commercial marine sector which values diesel’s lower maintenance, longer service life, lower fuel consumption and lower volatility”. The use and storage of petrol has been a problem for naval and other forces aboard mother ships for daughter craft due to its volatility. NATO has introduced a single fuel policy to improve safety and interoperability, which is driving a transition to diesel. In addition to coastal fishing, aquaculture and ferry operations, other potential applications for OXE include survey work, emergency services, Economic Exclusion Zone protection and other security related operations. OXE Diesel utilises the latest belt drive technology that eliminates the traditional high maintenance bevel gears and transfer shafts. It uses a conventional automotive engine block adapted for marine use. Unlike most outboards OXE is mounted horizontally, which improves reliability and reduces maintenance. Proteum is the official UK & Ireland Distributor for OXE Diesel engines.